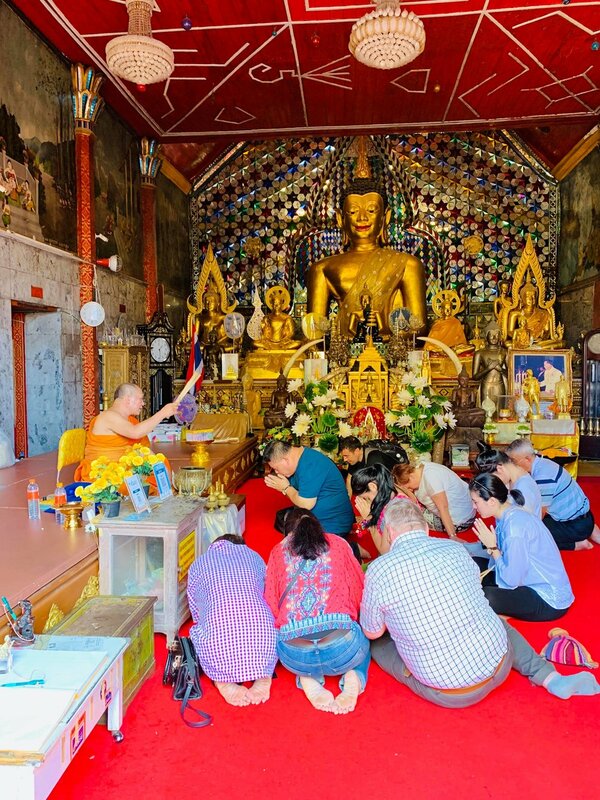 After tackling Phuket and Bangkok, we continued our tour of Thailand by settling down in a more residential and low key city…Chiang Mai. We spent four nights here and even got to meet up with our friends from Chronicles Abroad on our last night there. Shout out to Nubia and Frantzces! So, instead of boring you with a run down of what we did each day, I’ll just give you the highlights of what we did. Cool? Cool. First of all, we stayed at Stay with Nimman. Nimman is a very nice area to be in, and you can walk to quite a bit of things. I highly recommend. We didn’t like the smell of some of the areas of the hotel, but we’re told that’s just how the water smells in Chiang Mai. ProTip: Keep the toilet seats down when you’re not using them, and that’ll help with the smell. I’ll cut to the chase. The major highlight of my trip, and the things I was most excited about, was visiting the Elephant Sanctuary. I contacted Mr. O. and booked the excursion through him. 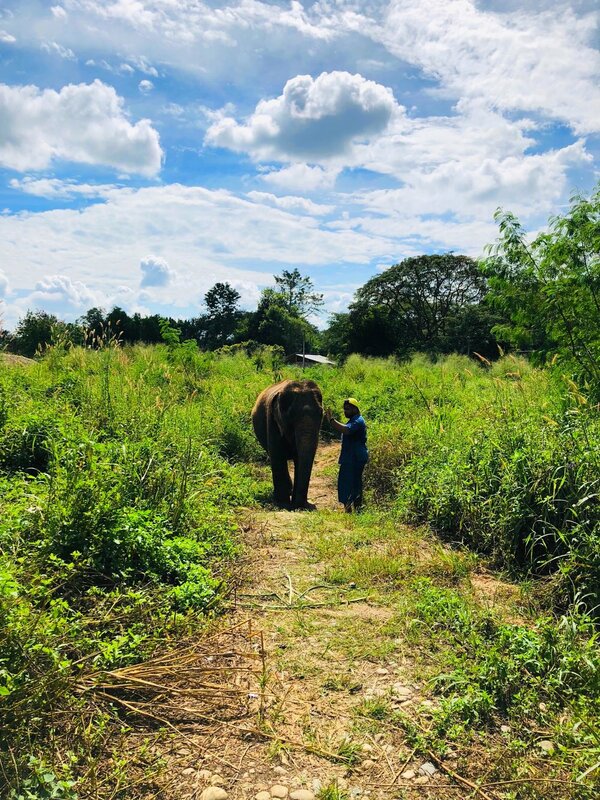 He picked us up from our hotel, took time to teach us commands for the elephants and then stayed with us the whole time as we bonded with the majestic animals. Please note: This is a sanctuary, not a zoo or a theme park type of situation. 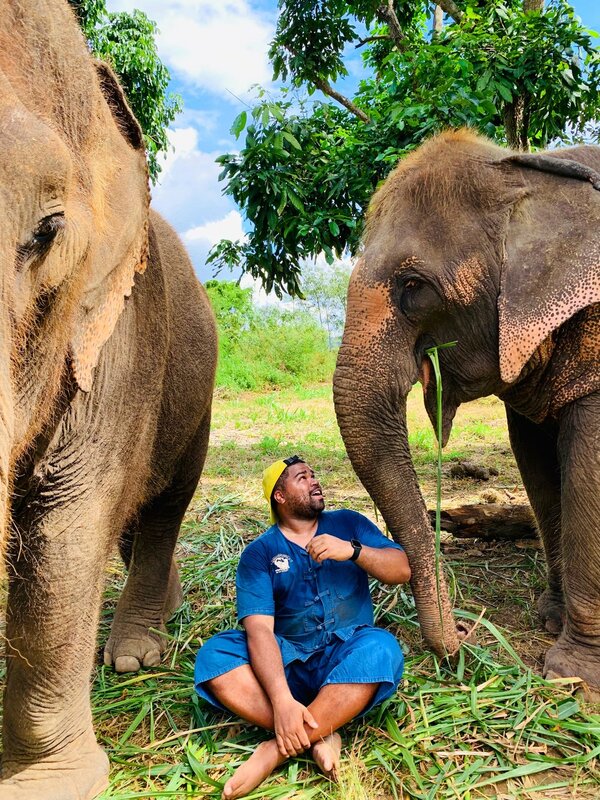 There are no chains around the elephants’ necks, no riding of the elephants, or any other silly things that are solely meant to get good pictures for the ‘gram. You truly get to bond with the elephant family, and that includes feeding them, playing with them, and washing them. It’s an experience that I’d definitely do again. 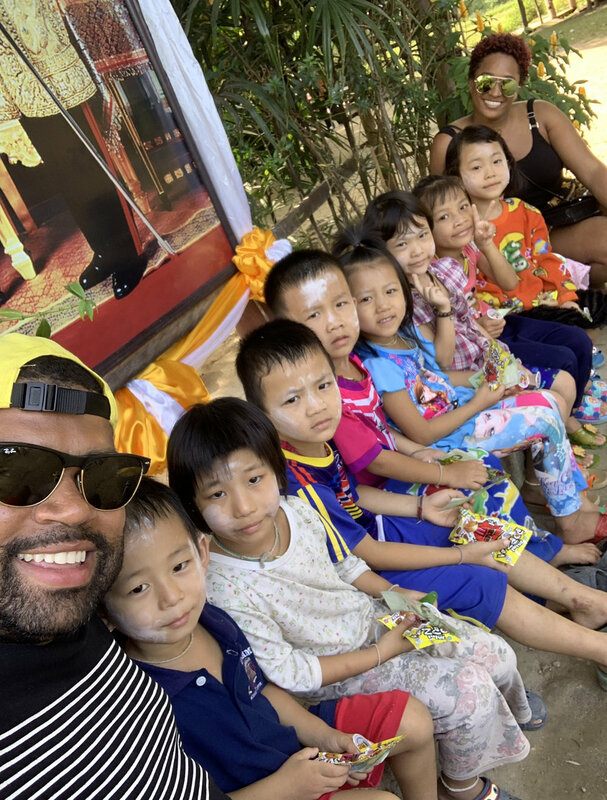 When leaving the elephant sanctuary, we had Mr. O take us to the Baan Tong Luang village where we walked around, saw the grounds, interacted with the villagers, and even treated many of the children. Before going in, we stopped by the candy shop to buy bags full of treats to give to the kids we came in contact with while walking through the village. Do not go to Thailand without eating street food. So let’s talk about the Night Bazaar. We were there almost every night, whether it was for shopping, eating, or getting garments made. My friend made it rain at the stalls with the “Chanel” bags LOL. I focused more on small items that would fit in my carryon when returning back to the US. The main thing I did at the Night Bazaar was to stop by James Bond Tailor hand have two custom suits and a vest made. James was quick, responsive and knew exactly how I wanted my pieces to fit. He had the items ready in two days. On the first night, we chose what we wanted and had our measurements taken. The next day, we came back to get a first look at what we put together and to be fitted in them so that he could make the necessary adjustments. The next day…BAM! Done! Side Note: If you get tired of eating Thai food and would like to eat some American food, I highly recommend The Duke’s Restaurant in the Maya Mall. This was definitely a good refresh to my pallet LOL. 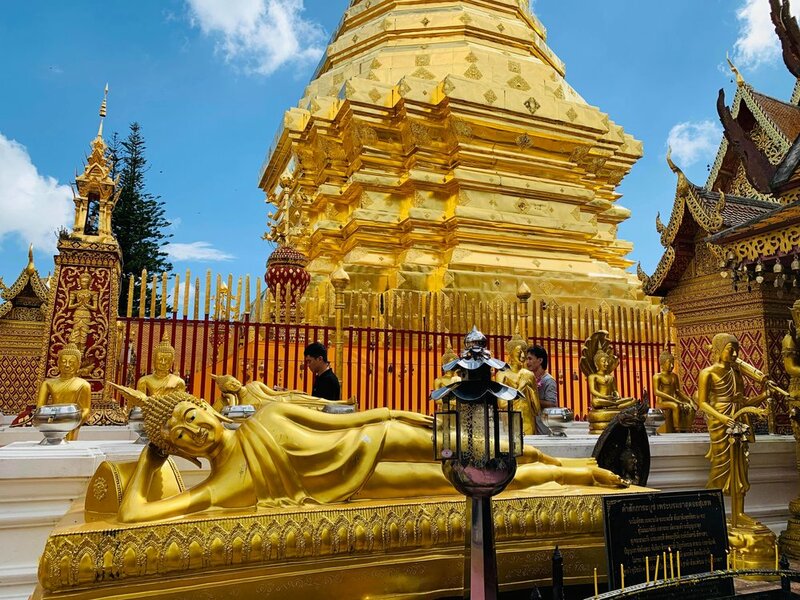 Other than visiting the Nigh Bazaar repeatedly, we took some tuk-tuks around the city to random places, and visited the Doi Suthep. ProTip: Go early before the crowds get there and before the sun is beaming down on you. It can get pretty hot up there. I definitely wouldn’t mind returning to Chiang Mai. Next time I go, what should I fit into my trip? What are you looking forward to doing and seeing when you go? 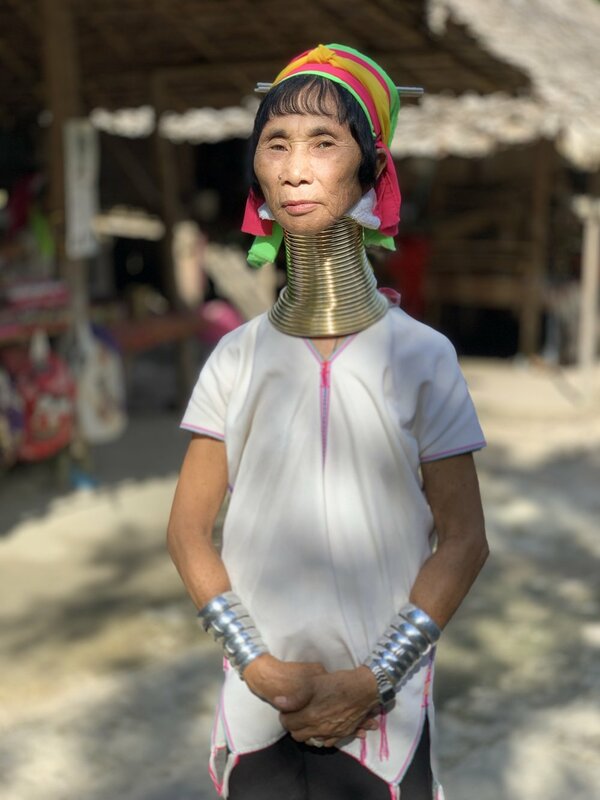 View my Instagram Highlight from Chiang Mai HERE.